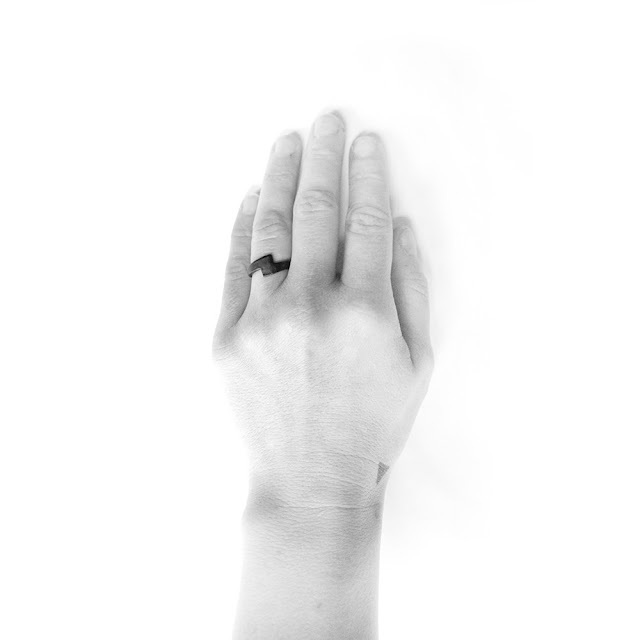 Named after the god of thunder, Hunter Gatherer founder Laura Prieto-Velasco designed the original Zeus ring as a wedding ring, interlocking with her husband's ring to symbolise their juxtaposed union. 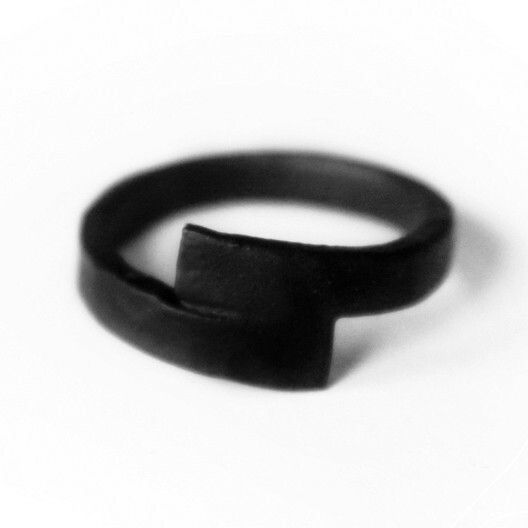 Dramatic and minimalist, the Zeus ring is created using fabricated and hammered copper with matte black powder coated finish, suitably complementing a contemporary nomadic lifestyle whose choice is to distance themselves from the greater norm. Hunter and Gatherer seeks to challenge the wearer into unleashing their individual and critical thinking about jewellery as a stepping stone for the conscious living and allowing the wearer to delve deep in history, as opposed to a reflection of ever-changing trends.